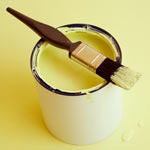 Bathroom design trends and fixing rot on the fascia board of a flat-roofed back porch. 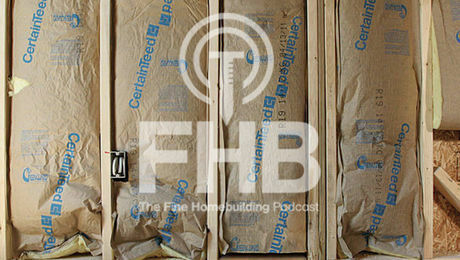 Fine Homebuilding associate editor Matthew Millham and design editor Brian Pontolilo join FHB editorial director Rob Yagid in this podcast episode. 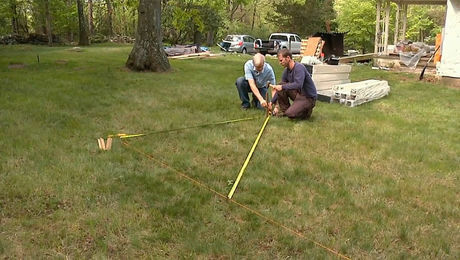 The guys tackle a reader question on rot on the fascia board of a flat-roofed back porch. Plus, a follow up to the drywall in Justin’s garage, Brian’s take on bathroom design trends, and Matt’s new place. We are looking for as many podcast listeners as possible to come out to meet the Fine Homebuilding team at the Remodeling and Deck Show this October in Nashville! We’ll be at Booth 424 on Oct. 26, 2017, at the Nashville Music City Center. We’re running an Emerging Professionals Event and recording an episode of this podcast from the show floor. We also have our continuing request for listeners: We need all our fans to take our podcast feedback survey by clicking here. There’s a chance to win one of ten Amazon Echoes. October 2017 Update: Okay, we’re not giving away Amazon Echoes any more. That reward expired. But there’s a chance that we’ll have SOME kind of reward for those who take the poll. Well, honestly, a CHANCE to win a reward. Can’t say exactly what the reward will be, because you may be reading this in 2018 or 2024 or 2109 after the zombie apocalypse and climate change means we all have to build new net-zero fortress-houses on the seaside islands of Kentucky. But if this text is still here, we still really want your opinions, so please take the poll and we’ll enter you for a chance to win something good, like a $100 gift card or a couple cases of ammo or the antique Snapple bottle caps we’ll use for currency in 2109. Or at the very least, for our deep thanks and the knowledge that your feedback is helping us make the podcast a little better. That’s something everyone who takes the poll gets! 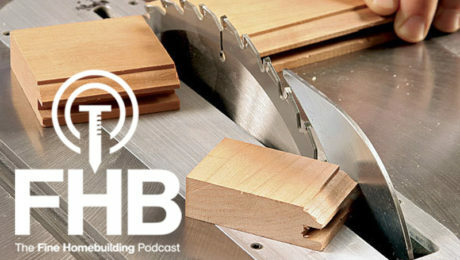 Today’s episode of the Fine Homebuilding podcast is brought to you by MaxUSA. MaxUSA, a leading manufacturer of innovative professional grade construction tools and the exclusive tool sponsor of the 2017 FineHomebuilding ProHOME build. 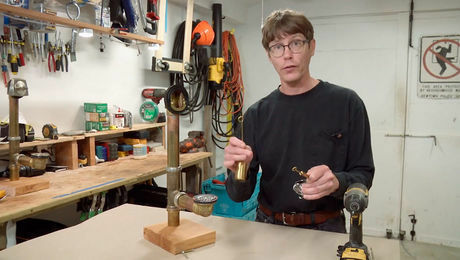 MaxUSA’s product mix includes a line of 100-psi as well as 500-psi high-pressure tools, battery-operated concrete tools and cordless gas-powered fastening tools. Max employs over 200 R&D engineers who constantly conduct field studies to improve on existing products and design and launch new products for the construction tool industry. 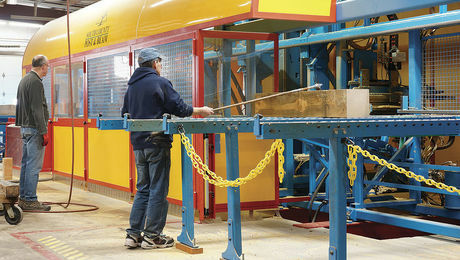 Before being brought to market, all new tools are thoroughly tested for quality and durability. For more information, visit the MaxUSA website at maxusacorp.com. What’s the Best Way to Install Cedar-Shingle Siding on an Old House? How to Frame a Garden-Shed Roof and Install Skip Sheathing for Cedar Shingles. Cedar shingles above fiber cement. What’s the Difference: Cedar shingles. Cedar Shingles: Flared & Woven while using a rain screen. 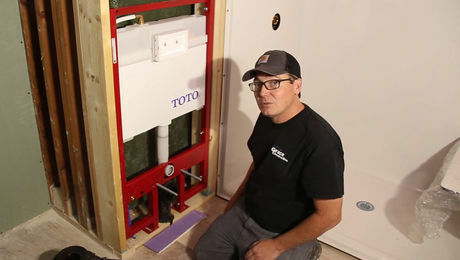 Justin’s article — How it works: ground source heat pumps. October’s Remodeling and Deck Show in Nashville. Nice job! Another thought on heating and cooling? Efficient propane heating through ducts with a heat pump for cooling in the summer months through the same ductwork. My 2 cents Re: Geothermal. We built a house two years ago and installed a geothermal system. Our system cost $60k of which we got $20k back on our taxes. Our house is 6000 sq ft. and tested at less than 1 ACH at 50 pascals so it is pretty tight. We have lots of insulation but also lots of windows. My observation is the system is great for cooling but I'm unimpressed with its heating abilities. On the heating, out of the box it was designed to kick in the electric resistance heat if the set point was more than 3F from the current temp. I think that should make anyone claiming this is a "green" solution eat their words. During a cold winter, we are using thousands of kilowatts to heat the house. Bottom line is great in the summer but not so great in the winter.